"It's amazing to win here. I know how hard my friend Markko [Martin] was pushing and he got very close. I'm very relieved to get it. On the Power Stage I just went with a good rhythm again - just a bit faster than normal but no risks. It was a good stage." / "Je skvělé tady vyhrát. Vím dobře, jak moc Markko Martin tady byl blízko vítězství. Na powerstage jsem prostě jel v dobrém rytmu, ale bez rizika." 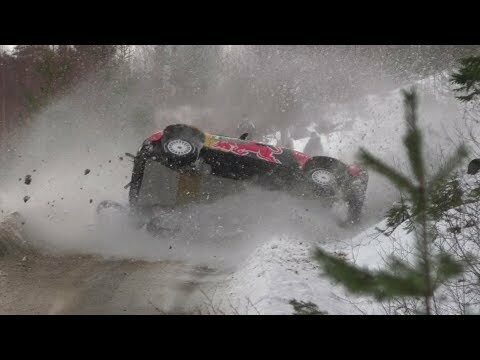 "I expected the conditions to be worse in the beginning of the stage. I was too cautious but then I started to push!" / "Na začátku jsem očekával horší podmínky, byl jsem moc opatrný, ale pak jsem zabral." "I tried to have a good stage. We were not able to fight with Lappi in the fast sections today. We are good in the twisty but on the fast stages we are missing something - on the edge all the time. That's part of the game." / "Dnes jsme v rychlých pasážích nestačili na Lappiho. V technických pasážích ano, ale na rychlých nám něco chybí." "Tricky conditions in there. I tried to stay in the lines, not go crazy. Let's see what Thierry does. I cross my fingers." / "Snažil jsem se držet v kolejích, nebláznit. Držím palce Thierrymu." "It was good. A few small errors in places but in these conditions that's inevitable." / "Pár drobných chybiček, ale jinak dobré." "I had a massive impact on the front-left and now the power-steering feels tight. I struggled after that - lost some time." / "Něco jsme trefili ne levý předek a moc pak nefungoval posilovač řízení." "It was complicated. Up and down. I'm happy to be at the finish. We did some good times, some less-good times. We understood a lot, so not so bad at the end." / "Celá soutěž byla nahoru dolů, jsem rád v cíli. Nakonec to není tak špatné." "It's a dream to be here in a World Rally Car. I want to say thanks to all the people that are helping me. I really enjoyed this weekend and felt I improved. You need time in a car with this. 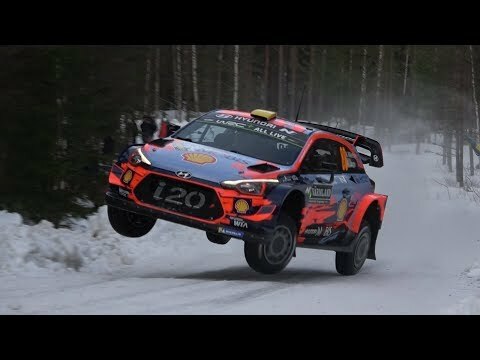 My next rally? I don't know but for sure I hope there will be more this year." 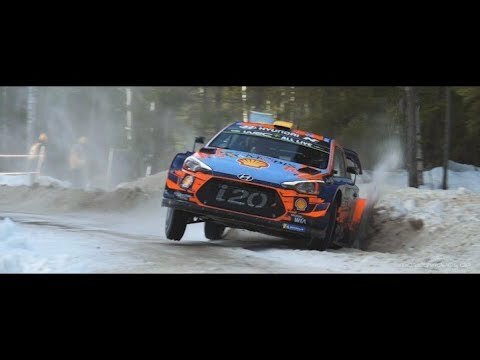 / "Je to sen jet tady s vozem WRC. Chtěl bych poděkovat všem, kteří mně pomohli. Užíval jsem si to a zlepšoval se. Doufám, že se letos ještě někde s tímto autem objevím." "It's fantastic to be back. We had some super stages in the good conditions." / "Je skvělé být zpět, rally mně chyběla." "It's getting very difficult. On the last part here there was lots of snow and slush. Very difficult to drive. I'm not sure if the road is getting better or worse." / "Je to náročné, ke konci je hrozně břečky a nevím, zda se podmínky budou zlepšovat nebo zhoršovat." "The good pace here has given me confidence, but in the end there are no points. Okay, there are positive things. Now I need to prepare for the next rally." / "Sice jsem měl dobrou rychlost, ale body nemám žádné. Ale musíme se na to koukat pozitivně a připravit se na další soutěž." "It's a smile of relief to be at the end. The result is really good, to come here on my first rally in the category and win is good. A difficult weekend but the result is strong." / "Jsme rádi, že jsme v cíli. Výsledek je dobrý, jel jsem poprvé v tomto šampionátu a vyhrál. Takže těžký víkend, ale dobrý výsledek." "I don't think I will get so much. The end of the stage is slushy - it will improve. Every year the same story for me on this very nice rally." / "Nemyslím, že budu mít z powerstage moc bodů. Hlavně na konci zkoušky se bude hodně čistit. "A lot of action! The last stage was okay." / "Užil jsem si spoustu akce, nejlepší byla ta poslední zkouška."